According to the American Pet Products Association 2015-2016 (APPA), there are approximately 78 million dogs owned in the United States in approximately one-half of all households. In fact, if dogs were humans, they would represent approximately 25% of the total population of the United States. In the United States, there are approximately 4.5 million dog bites each year. In the United States, dog bites occur every 75 seconds. Every day, more than 1,000 people seek emergency medical care for injuries suffered as a result of a dog bite. Dog attack victims suffer in excess of $1 billion in losses annually. 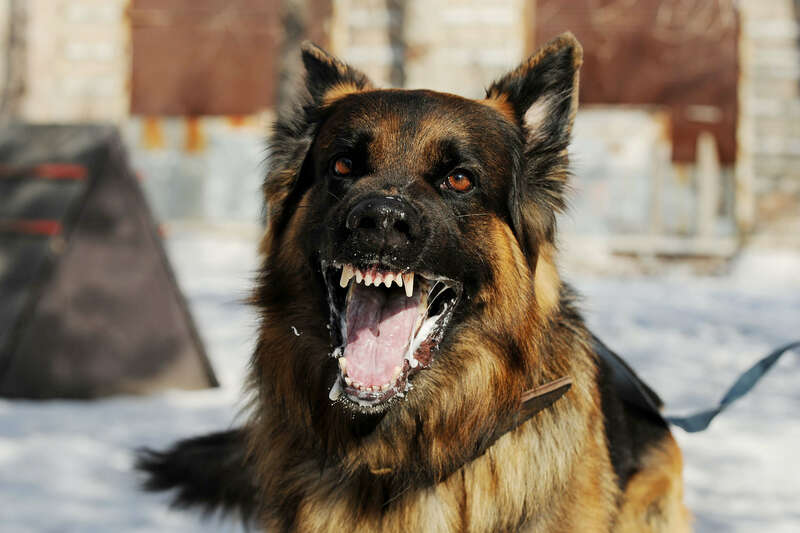 Loose dogs off their owner’s property cause approximately 40% of all fatal attacks. The rights of victims of these violent attacks vary according to state law. For example, many states follow the so-called “One Bite Rule,” which states that the owner of a domesticated animal (e.g., a dog) will be held strictly liable for injuries caused by the animal only if the owner knew or should have known about the animal’s dangerous or vicious propensities. Most people hold the mistaken belief that dog owners will be held strictly liable for attacks. However, a review of our law in Nevada confirms that is not the case. In Glass v. Eighth Judicial District Court, 87 Nev. 321 (1971), the Supreme Court of Nevada rejected the One Bite Rule, noting that “it is no longer an acceptable proposition in tort law that a dog is entitled to one free bite.” Instead, the Court concluded that dog bite cases are to be considered pursuant to traditional negligence law principles. In other words, the question will be whether the defendant owner (or individual in custody of the animal) exercised the level of care that someone of ordinary prudence would have exercised under similar circumstances. Where did the bite occur? Did the dog have history of violent or nervous behavior? How was the dog trained? How was the dog cared for? Were laws or ordinances violated with regard to how the animal? These questions and others focus upon the issue of whether the owner was indeed negligent, and therefore, will be held responsible for the resulting injuries. With regard to the subject dog’s temperament, it should be understood that, regardless of breed, all dogs are presumed to be nonviolent. See, e.g., Goennenwein v. Rasof, 695 N.E.2d 541, 544 (Ill.App.Ct.1998) (“It is presumed that a dog is tame, docile, and harmless absent evidence that the dog has demonstrated vicious propensities.”). Thus, your dog bite attorney will have to prove the violent nature of the animal and/or that the owner’s conduct was somehow substandard. This analysis will frequently require substantial discovery as well as the hiring of an expert to address issues of canine aggression and behavior. Negligence may also be established by proving a violation of a law meant to protect the public. This is called “Negligence Per Se.” In these cases, a claimant or plaintiff need not prove that a reasonable person would have acted differently – the owner’s conduct is automatically considered negligent based upon the violation, and the focus turns to whether the violation was the proximate or legal cause of the damages incurred or injuries suffered. Every person having the care or custody of any animal known to possess any vicious or dangerous tendencies, who allows it to escape or run at large in any place or manner liable to endanger the safety of any person, is guilty of a misdemeanor. 10.36.040 – Restraint and sanitation. (a) person owning or having possession of any animal other than a cat, shall cause, permit or allow the animal to stray, run or in any manner be at large. (b) Every person who is the owner of any unsterilized dog or cat as permitted by Chapter 10.08, and keeps the same upon his premises under his control, shall keep the animal restrained by a fence, cage, coop, chain, leash or other adequate means so that the unsterilized dog or cat shall be kept. 10.16.010 – Dangerous and vicious animal declaration. It bit a person or animal, but without causing substantial bodily harm. It bit a person or animal, but without causing substantial bodily harm, if the animal is of a species capable of causing death or substantial bodily harm other than a domestic dog or cat. After having previously been declared dangerous, with notice of the declaration having been provided to an owner or keeper, it continues to exhibit the same type of behavior that resulted in the declaration, or is in violation of the provisions of Section 10.16.030. Another animal or person, in connection with its use by law enforcement officers in the performance of their duties. If the death or substantial bodily harm was not proximately caused by that animal, such as may unintentionally result from a person placing his or her hands between the jaws of fighting animals. The owner or keeper of any animal declared dangerous by the animal control officer may, within seventy-two hours after notice has been served personally, posted at the address of impound, or deposited in the mail to the last known address of the owner or keeper, request a hearing to challenge the dangerous determination by providing a written request for a hearing to Clark County Animal Control. Conditions not otherwise required will be tolled pending a determination on such hearing. It shall be unlawful for any person to knowingly possess, house, shelter, quarter, own or in any other way have under his control, or to transfer ownership of, a vicious or dangerous animal within unincorporated Clark County, except as provided in this chapter. Without restraint within private areas accessible by the general public or a considerable number of persons, regardless of enclosure, such as common areas of common interest communities or other privately owned public structures, such as stores and restaurants. Inside a designated dog run portion of a public or private park that is enclosed by a fence and provided with signage warning of unleashed animals, which is separated by a fence or other physical barrier from other areas of the park containing amenities for use other than as a dog park. In the congested areas of the county every person who is the owner of or has the care, custody or control of any cow, dog, goat, horse, ox, poultry, rabbits or any rodent, sheep, swine or exotic animal, has an absolute duty to keep the same upon the premises under the control of such person, restrained by a fence, cage, coop, chain, leash or other adequate means so that the animal shall not leave the premises upon which it is kept. In the congested areas of the county, it is unlawful for the owner of any dog to allow the dog to be in a public park unless the dog is on a leash. This provision does not apply to special areas that may be designated for training programs, dog shows or dog parks. It is unlawful for any person to bring an animal into the area designated for a special event when the event has been posted as “no animals allowed”. This provision does not apply to guide dogs, hearing dogs and helping dogs assisting handicapped persons. Interestingly, a dog bite with similar circumstances might lead to owner liability in Las Vegas but not in a sparsely populated area of Washoe County. Clearly, each case must be evaluated by an attorney knowledgeable regarding the applicable laws. In recent years, there have been a number of cases addressing whether landlords may be held accountable for an attack by a tenant’s dog. In Wright v. Schum, 105 Nev. 611, 781 P.2d 1142 (1989), a passerby injured by a dog bite sued the landlord of the tenant who owned the dog. The Nevada Supreme Court held that the status as a landlord did not alone create liability for a tenant’s dog. A landlord has no duty to protect third parties, unless the landlord has assumed such a duty through his or her actions. Wright v. Schum at 618. The Court ruled that the status of landlord did not make a person liable, but that his or her actions could. The Wright Court also held that the landlord, as an individual, may have assumed part of a duty owed to the public by a tenant (dog owner) when the landlord permitted the tenant to remain on the premises only if the tenant did not allow the dog outside of the house unless chained and by not repairing the front gate which allowed the dog an easy opportunity to leave the premises. Furthermore, courts do not require that landlords investigate the nature of their tenant’s dogs. See Georgianna v. Gizzy, 483 N.Y.S.2d 892, 894 (N.Y.Sup.Ct.1984) (stating that requiring a landlord to investigate into a tenant’s dog’s history would be “oppressive and unreasonable”); Robison v. Stokes, 882 P.2d 1105, 1106 (Okla.Civ.App.1994) (explaining that a tenant’s contractual right to keep a dog is not tantamount to a landlord’s approval and knowledge of a dangerous dog, and a landlord does not have a duty to inspect the property for a dangerous dog). This article merely touches upon some the subtleties of Dog Bite Law in the State of Nevada. As noted above, the fact that a bite or attack has occurred does not necessarily result in liability. The claimant must establish that the owner or caretaker violated the law or otherwise acted unreasonably under the circumstances. Over the years, we have unfortunately observed that the stakes can be high in these instances. Victims are frequently left with permanent injuries or scars that will haunt them for the remainder of their lives. If you or a loved one has been injured as a result of a dog bite or dog attack, contact the Las Vegas personal injury attorneys at Shook & Stone immediately to discuss the matter free of charge. Please remember that time is of the essence. Evidence can be destroyed quickly, impacting the strength of the claim. For example, the living conditions of the subject animal should be documented, and witness statements obtained. This type evidence disappears quickly, weakening the claim. Therefore, if you believe a claim may exist, allow us to move quickly to protect your rights.